Our bespoke curriculum has been designed to be contextualised for the children at Front Lawn. It is the result of research into different models of curriculum design and analysis of the needs of the children at the school. Firstly, we believe passionately that our curriculum should be broad and balanced. Children enjoy a full spectrum of academic, physical, spiritual, moral, social, cultural activities that enrich their lives. All children should feel clever and experience the feeling of accomplishment in a wide range of areas. Our curriculum gives pupils an excellent mix of academic and personal development. Our curriculum gives equal importance to core and foundation subjects. Physical well-being and mental well-being are both valued and prioritised by our careful consideration of curriculum design. We carefully balance the requirement for pupils to reach ARE in core subjects with our wider curriculum aims of providing a balanced range of enriching experiences. As a result our pupils thrive. To provide outstanding outcomes for the future of young people in the 21st Century and beyond. To engage children in a relevant, meaningful and challenging curriculum that stimulates, allows and supports their learning developing fluency and expertise. To ensure that every child exceeds their full academic potential within school and reaches an emotional maturity that allows them to be fully involved in the local community. To develop children's desires to be ambitious, use their initiative, have a strong sense of community and have positive mental health that enables them to be happy. To ensure excellent delivery of carefully sequenced, powerful knowledge that children can transfer between subjects and phases of their education. Our bespoke curriculum has been designed to be contextualised for the children at Front Lawn. It is the result of research into different models of curriculum design and analysis of the needs of the children at the school. 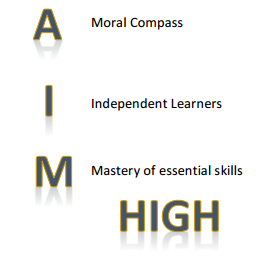 Our curriculum is designed to enable the following outcomes to be met by ALL children. In order to ensure that learning in every subject is sequenced appropriately, we have implemented Progression Documents (see below). These ensure that learning is staged and builds on prior knowledge. This provides the children with the opportunity to revisit vital skills and knowledge regularly and embed this learning; therefore becoming experts. We ensure that we track children's progress in all subjects. We believe this is important because every child is brilliant at something and deserves the chance to receive feedback, make progress and experience opportunities to deepen their learning in all subjects.